To the lower right of Spica is a trapezoid of stars, this is Corvus. Mythology states the god Apollo sent the crow with a cup (Crater) in search of water. The crow was distracted by a fig tree, which caused its delay to Apollo. On its return, Corvus gave the excuse a water snake (Hydra) prevented the bird from filling the cup. Apollo did not believe this story and cast all three into the night sky forever. From the top left of the asterism, we see the star called Algorab located 87 ly away. Moving clockwise is Gienah. This is a hot B8 star some 154 ly away and measures four times the diameter of the Sun. Next, we have the orange coloured Minkar. It is the farthest of the four at 318 ly away and has ballooned in size to measure two-thirds the orbit of Mercury. And last is the G5 star Kraz. It resides 146 ly away and research shows it was a blue-white B7 star only 300 million years ago. Corvus has a few targets well worth observing and imaging. First, of we have M104 aka the Sombrero Galaxy. This is a lovely lenticular galaxy, almost oriented edge-on and has a very distinct dust lane. The Sombrero is located 31 million ly from us and estimated to be 50 thousand ly in width. Halfway between Corvus and Crater is an unusual spiral catalogued NGC 4027. At 77 million ly away this 11th magnitude galaxy has only one spiral arm. A classic example of two interacting galaxies is NGC 4038 and 4039 known as the Antennae Galaxies. They are about 80 million ly away and shows the fate of the Milky Way when it collides with the Andromeda galaxy in about four billion years from now. It will be known as Milkomeda. Speaking about our galaxy the constellation Scorpius with the orange star Antares is above the horizon along with Jupiter by 2 a.m. local time. By 4 a.m. Sagittarius and Saturn can be seen along with the glow of billions of star of the Milky Way. Follow it up and east as it connects the Cygnus the Swan aka the “Northern Cross”, a sure sign days and nights will soon get warmer. Mars can be seen now passing the Pleiades and will be closest to the star Aldebaran – the eye of the bull in Taurus on April 9.The annual Lyrid meteor shower peaks on the night of April 23 with an hourly rate of 18 meteors per hour. The full Pink Moon occurs on April 19 which will definitely interfere with viewing the Lyrids. The star Sirius is by far the brightest and closest visible star in the Canadian winter sky. Sirius belongs one of Orion’s hunting dogs, it is only 8.6 light years away and at magnitude -1.47 is a great daytime telescopic object. Along with the stars Betelgeuse and Procyon, Sirius forms the Winter Triangle. 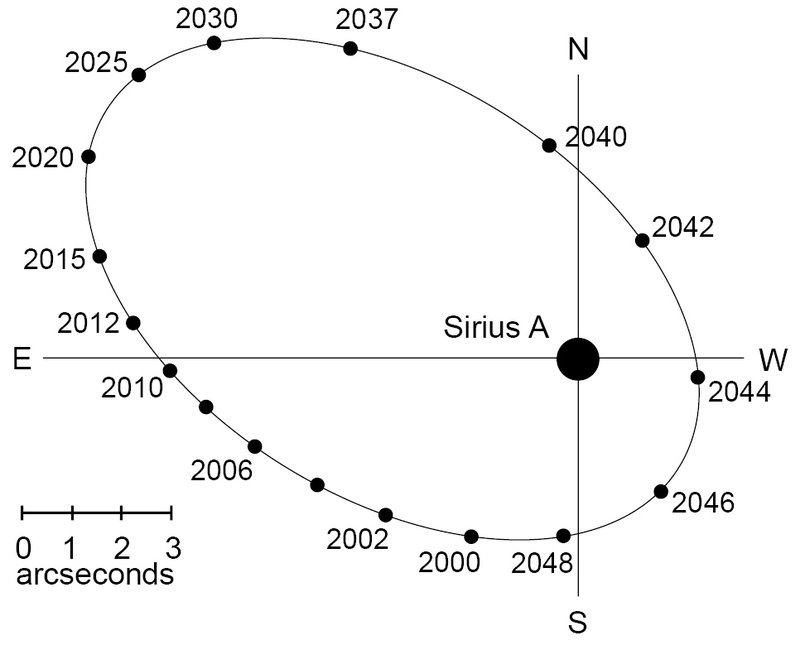 AKA, the Dog Star, Sirius is a binary with a magnitude 8.44 white dwarf companion nicknamed the Pup. The white dwarf orbits Sirius once every 50 years in an elliptical orbit that ranges in distance from eight to 31 astronomical units. The much fainter Sirius B is located very close to brilliant Sirius making it extremely difficult to spot. As you can see by the chart, the companion is almost at its farthest from its primary. I remember catching a glimpse of it back in 1979. Located a few degrees to the south of Sirius is a lovely open cluster cataloged as M41. It is located 2,316 light years away and estimated to be 12.5 light years across. This cluster makes a striking view in wide-angle binoculars and with wide-angle photography when you include Sirius. 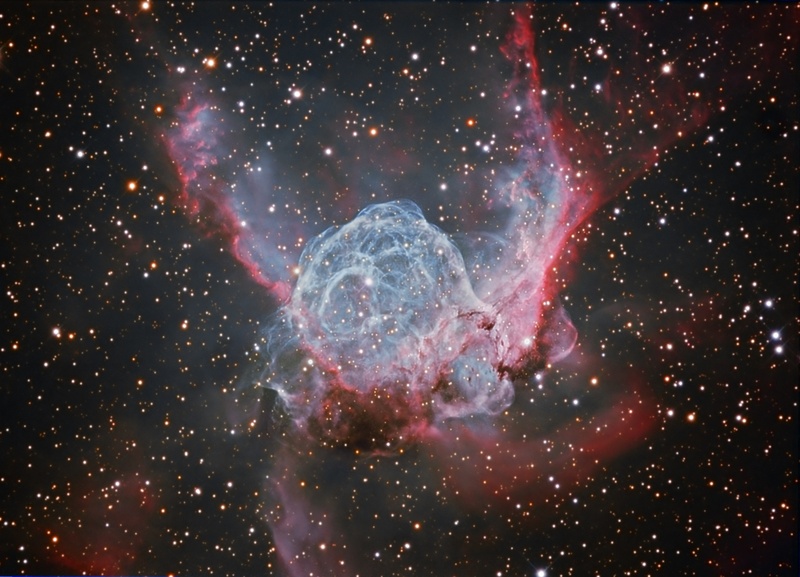 Nine degrees to the northeast of Sirius is Thor’s Helmet (NGC 2359). At a distance of 12,000 light years, this 30 light year wide structure is comprised of a bubble and filaments. At the middle is the Wolf-Rayet star WR 7 that has an estimated brightness 280,000 times brighter than the Sun. It has a surface temperature of 112,000 K and is about to explode into a supernova. Exoplanets seem to be everywhere and there is a naked eye star located southwest from Sirius. Named Nu2 Canis Majoris or V2, this star is located 64 light years away. At fourth magnitude, V2 should be an easy target to see. The exoplanet seems to be in the habitable zone where oceans (if any) would stay liquid. The planet orbits 1.9 AU from the parent star. The planet Mercury is now at magnitude zero and low in the western sky after sunset. It sets about an hour after sunset so you will only have a few evening to search for Mercury as it is sinking fast. Moving up the ecliptic, we can still see the orangey hue of Mars. Now at magnitude 1.3, the crescent moon will be almost seven degrees to the left of the red planet on March 11. For the first ten evenings of the March, look for the faint zodiacal lights in the west that follows the ecliptic towards the Pleiades. Photography will be your best bet to capture this slanted triangular glow of interstellar dust. After March 10, moonlight will interfere. The other three naked eye planets are found in the morning sky. Jupiter rises at 2:30 a.m. local time with the ringed planet Saturn a full two hours later and brilliant Venus, a half an hour after Saturn. This year the vernal equinox occurs on March 20, which happens to be a full Worm Moon and this is why Easter is so late this year. The holiday occurs on the Sunday after the full moon after spring. Therefore, we have to wait for the next full moon on April 19 (Good Friday) with Easter Sunday on April 21. This month’s new moon occurs on March 6 and Daylight Saving Time (DST) begins at 2 a.m. on March 10. Castor and Pollux are bright stars belonging to the constellation Gemini and are part of the dozen bright stars that light up the winter sky. They represent the heads of the twin which were actually half brothers as stated in mythology. Located 34 light years away, Pollux is a magnitude 1.14 orange coloured star with a spectral class K0. Although Pollux has a diameter of 9 or 10 times that of our Sun, surface temperatures are 4,770 K and cooler than our Sun‘s 5,778 K. Pollux is in the process of fusing helium in carbon and oxygen in its core. It seems to have an outer corona comparable to our Sun. The exoplanet Pollux b resides 1.6 astronomical units from the parent star and takes 1.6 years to complete a circular orbit. To the upper right of Pollux we find Castor. This white coloured spectral class A1 star shines at magnitude 1.58 and is located 52 light years from us. With a surface temperate about twice that of Pollux, Castor is a collection of three pairs of stars in a very unique dance. A telescope will show Castor’s close companion with both components Castor A & B are themselves doubles and possess a mysterious third double companion. Although components A & B orbit each other in 445 years, component C orbits A & B every 14,000 years. 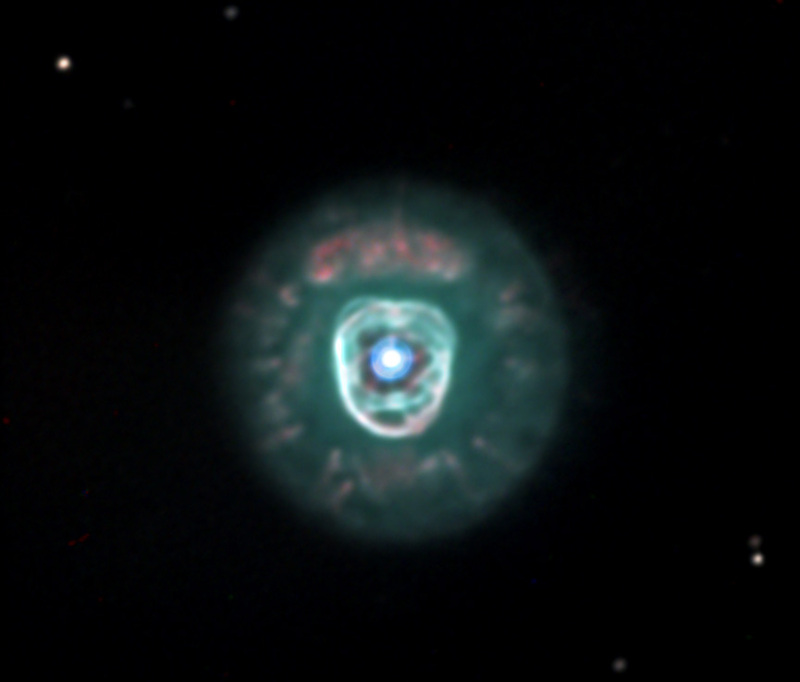 or Caldwell 39, this bi-polar planetary nebula is estimated to reside 2,870 light years from Earth. In small telescopes the Eskimo appears as a fuzzy bright greenish object but larger instruments will reveal more detail. About 10,000 years ago a Sun like star eventually ran out of fuel and grew to become a red giant. Over time the weak gravity allowed the release of its outer layers into space thus forming this celestial portrait. Comet C/2018 Y1 (Iwamoto) was discovered by a Japanese astronomer in late 2018 is now racing through space at 66 km/sec. It passes close to the star Regulus in the constellation Leo on February 11 and this night along with the 12th will be the best nights to see and photograph it. Brightness estimates range from magnitude 7 to 7.8 at its best and safely passes the Earth at 45 million kilometres. Moonset on February 11 is before midnight local time and an hour later the next night. The brilliant duo of planets Venus and Jupiter continues as Venus continues sinking to the south-eastern horizon on its way to rounding the sun in its orbit. Venus passes the planet Saturn on the morning of the 18th. Jupiter on the other hand is steadily climbing higher and rises just before 4 a.m. on February 1 and after 2 a.m. on February 28. Mars is still visible low in the western sky after dark moving from Aries to Taurus and is much fainter than its summer time show. It passes one degree north of the planet Uranus on February 13. For a two week period starting on February 21, look for the zodiacal light in the eastern sky before the sky lightens. From a dark location away from any and all light sources, you might see a slanted column of light close to Leo and along the ecliptic. This is the reflection of the leftover cosmic dust from our solar system. This light is seen close to the seasons of spring and autumn. New moon is on February 4 and the full Snow moon is on the 19th. On the night of January 20/21 there will be a total lunar eclipse and Canada is well placed to see the entire show. In contrast to a solar eclipse when special filters are required for safety reasons, a lunar eclipse is completely safe to see and photograph. Prior to the lunar eclipse, the Sun, Moon and Earth will produce a partial solar eclipse on January 6 over North East Asia and the North Pacific. As the full Moon sinks deeper into our planet’s shadow, it first darkens and then takes on an orangey colour. This is a result of sunlight refracting or passing through Earth’s atmosphere. This eclipse is also referred as the “Super Blood Moon”. The term “Super Moon” was derived by an astrologer in the 1970’s and refers to the combination of the full or new Moon along with its closest approach to the Earth in its elliptical orbit around us. Partial eclipse begins at: 10:34 p.m. 9:34 p.m. 8:34 p.m. 7:34 p.m.
Total eclipse begins at: 11:41 p.m. 10:41 p.m. 9:41 p.m. 8:41 p.m. Mid eclipse at: 12:12 a.m. 11:12 p.m. 10:12 p.m. 9:12 p.m.
Total eclipse ends at: 12:43 a.m. 11:43 p.m. 10:43 p.m. 9:43 p.m. Partial eclipse ends at: 1:51 a.m. 12:51 a.m. 11:51 p.m. 10:43 p.m. The thin crescent Moon will not interfere with the annual Quadrantid meteor shower. The shower runs from January 1–10 and peaks on the night of January 3-4. An expected 40 meteor meteors per hour will strike the atmosphere about 80 kilometres above the Earth and can produce bright fireballs. The radiant for the Quadrantids is located in an area half way between Draco and the top star of Bootes named Nekkar. Along with Orion the Hunter, Taurus the Bull rules the winter sky. Within its boundaries we have the even popular Pleiades star cluster. M45 is a fantastic sight in binoculars, a telescope or just with your eyes. 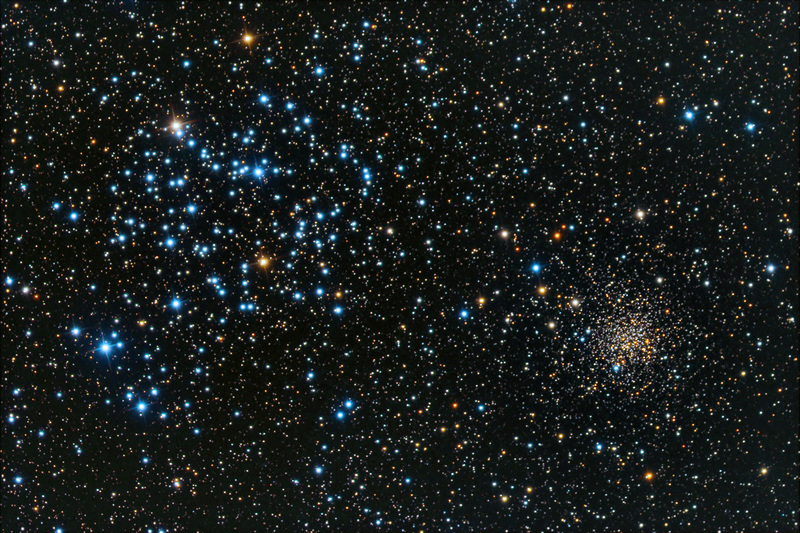 Also referred as the Seven Sisters, this cluster also represents the mythical heart of the bull, We then have the “V” shaped Hyades star cluster forming its head and accented by the star Aldebaran, the angry “eye” of the bull. 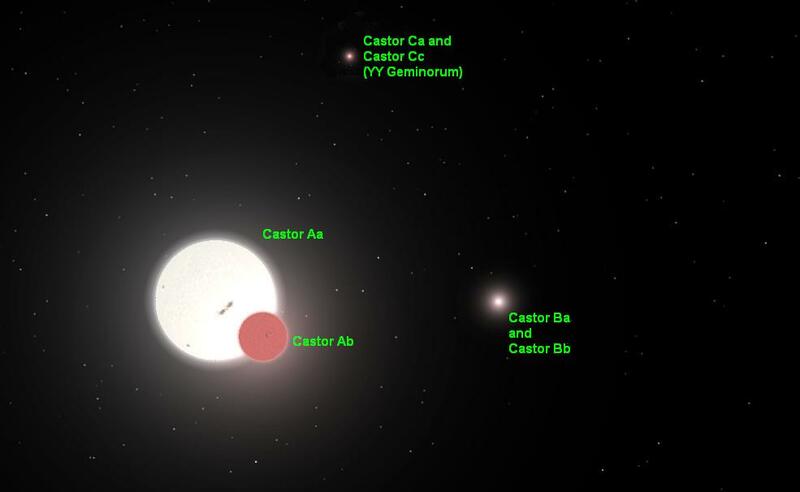 Aldebaran is a actually a foreground star and not part of the cluster. Follow the long imaginary horn closest to Orion to its end. Not far from here is the first object on Messier’s list. This is M1 or the Crab Nebula and is the remains of a supernova that occurred in the year 1054 A.D. This explosion was so bright, it outshone the moon for a couple of weeks. 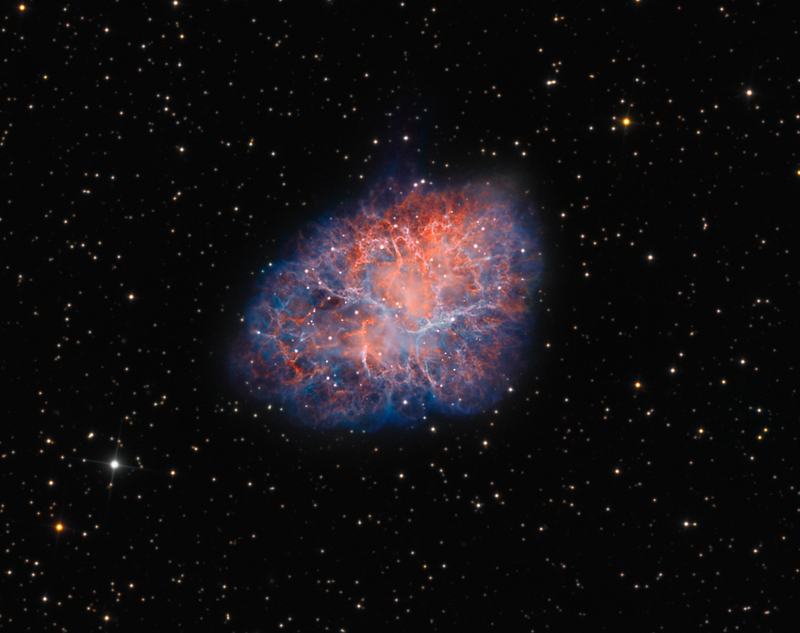 The Crab Nebula has long since faded to a dim smudge in a telescope eyepiece. It has a pulsar at its centre spinning at 33 times a second. The planet Venus still lights up the south east morning sky. It attained greatest elongation (appearing farthest from the Sun as seen from Earth) on December 15 and will be seen a bit lower in the sky each morning. Meanwhile Jupiter is climbing higher throughout the month and on the morning of January 25 both will meet, appearing as “spooky eyes” in the eastern sky. The 16% crescent Moon will be seen between the two on January 31 making a great digital moment.